Tomorrow is Earth Day, a global day to champion environmental causes that has been around for more than 40 years. 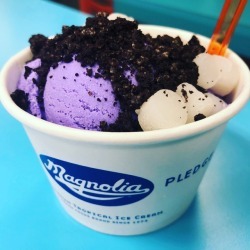 It’s one of the world’s largest secular holidays, and one that should have a great deal of resonance in Hawaii. 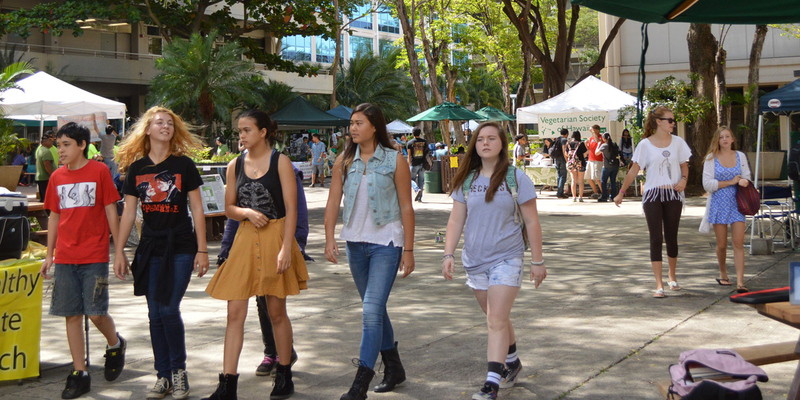 Perhaps not surprisingly, college campuses are often where Earth Day celebrations converge. There’ll be a 10:30 a.m. screening of “Cowspiracy,” an environmental documentary that shines the spotlight on the animal agriculture industry, an “Ecstatic Earth Dance” led by Maha Fusion at noon, music by “DJ Narnz and Aliie G” in the afternoon, wrapping up with a free Vinyasa Yoga class at 3 p.m. There will also be prize giveaways throughout the day. 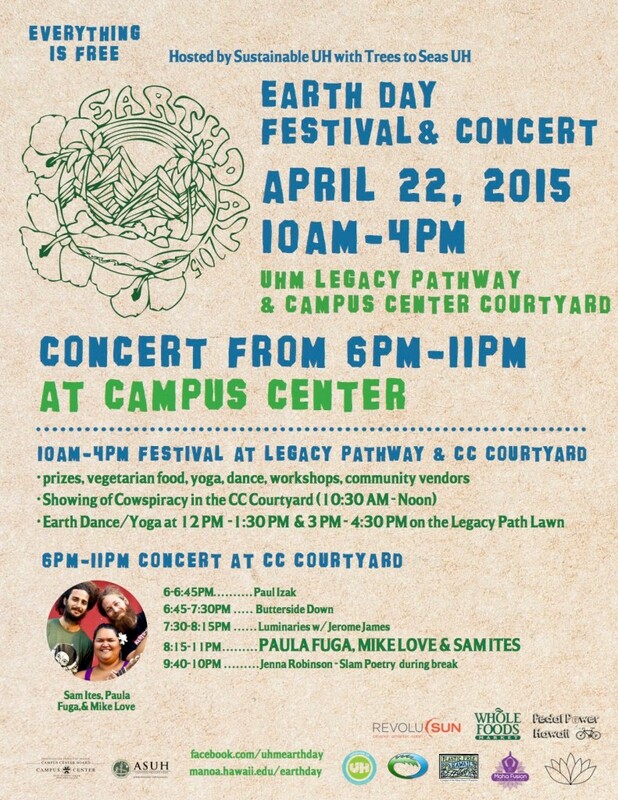 Part two of the Earth Day celebration is a free concert starting at 6 p.m. The line-up starts with reggae by Paul Izak, acoustic tunes by Butter Side Down, “conscious hip hop” by the Luminaries with Jerome James, and slam poetry by Jenna Robinson. The evening’s headliners are Mike Love, Sam Ites, and the Paula Fuga Trio. Over on the Windward side, tomorrow’s celebration will also have a musical theme, with Aloha ‘Aina: A Kanikapila for Earth Day. 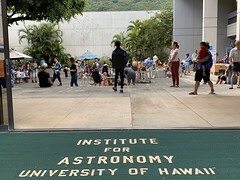 Hosted by Windward Community College and the Hawaii Music Institute, members of the community are encouraged to bring their own instruments, voices, or hula skills to join in. Guest speakers and musicians include award-winning singer Teresa Bright, Hawaii Music Institute director Kaʻala Carmack, and Mahealani Cypher from the Koʻolaupoko Hawaiian Civic Club. The free WCC event, which runs from 2 to 5 p.m., will be an introduction of the new Hale Aʻo Hawaiian Studies music hālau, which was designed especially for exceptional acoustics and to house the college’s new Steinway piano. 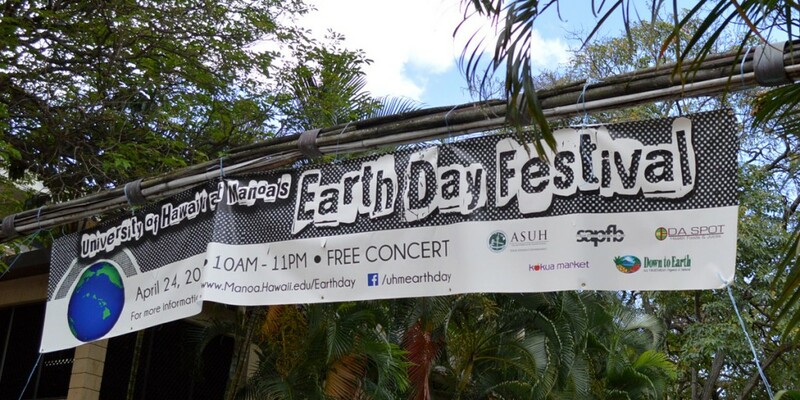 Over on Maui, the UH Maui College will celebrate Earth Day on its Great Lawn tomorrow from 9 a.m. to 6 p.m. 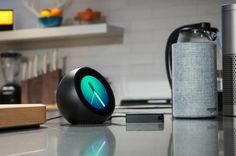 The student-organized event will use education, music and play to foster conversations with businesses, community organizations and students about sustainability. The program will kick off with a native tree planting ceremony and blessing, followed by live music from 11 a.m. to 2 p.m. 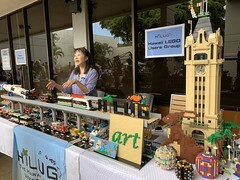 There will be a variety of information and game booths, activities like volleyball, tug-of-war, and “Earth ball,” and an exhibition of art from Maui Open Studios with free, hands-on sketch, photography and video activities. And in the spirit of kanikapila, there will be two “Earth Day Music Jam” events led by music instructor Anne Ku. 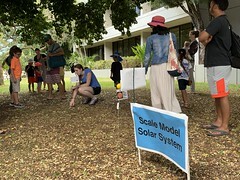 Participants are welcome to bring their own instruments or use one of the school’s 22 digital pianos or two acoustic grand pianos to make music at 9 a.m. and again at 6 p.m.
And finally, on the Garden Island, Kauai Community College will celebrate Earth Day at the campus farm tomorrow at noon. 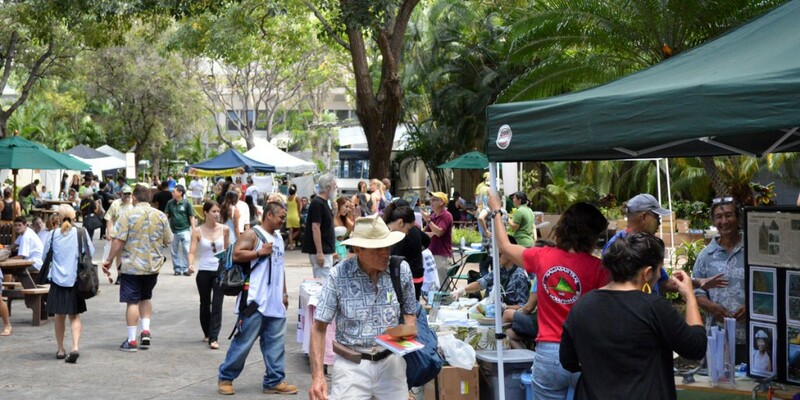 Students in the KCC Sustainability Club and the GoFarm Hawaii program will help people get their hands dirty with activities ranging from planting ground cover, making cuttings of existing ground cover plants, and cleaning up the farm area. The KCC Farm is home to an apiary, aquaponics, prototype house projects, and agriculture education installations. Bonus: Busy tomorrow? 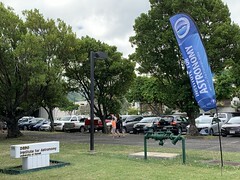 Earth Day events continue this weekend, with a beach clean up in Kailua and a park clean up on Kauai on Saturday.